2015 promises to be a big year for vaccine policy. Back in January and February the United States saw a rise in measles cases as a result of an outbreak that originated at the Disneyland amusement park in California. As a result, parents, providers and public health professionals began raising concerns about the dangerous risks of disease, the misinformation that has been persuading people not to vaccinate, and the rising number of exemptions parents have been filing to allow their children to skip school mandated vaccines. Soon state legislators were being encouraged to take the steps necessary to protect daycare and school aged children from vaccine preventable diseases with new, stronger immunization policies. The request was pretty straightforward. States need immunization policies that will help preserve and protect our public health, and every child deserves the right to attend school in an environment that is free from preventable diseases. The results have been both encouraging and exhausting. Many states, such as Vermont, have since passed new legislation that will help boost school vaccination rates by either restricting philosophical exemptions, or requiring parents to discuss the risks of not vaccinating with a health care provider prior to getting an approved exemption. Just last night, the New York State Assembly passed a bill 105-28 that will require seventh and twelfth graders to receive a meningococcal vaccine and now the bill will head to the governor’s desk. And there are dozens of other states that are considering new policies. When it comes to immunization policy, it takes an enormous coordination of effort to educate legislators on the issues and get a bill to become law. One state that has received a great deal of attention lately is California and Senate Bill 277. If approved, SB277 would remove the personal belief exemption option from California’s school immunization statute. The bill has already passed the Senate with a 25-10 vote in May, and cleared another impressive hurdle last week by winning a 12-6 vote in the Assembly Health Committee. Despite the encouraging outcomes so far, supporters of the bill will tell you that the outcome is still uncertain. The next challenge is a vote by the full Assembly, and then hopefully the bill will arrive on the Governor’s desk. Unfortunately, it remains unclear how the Governor will address the bill. Two years ago, when the California Governor received a bill that added an educational requirement for parents seeking personal belief vaccine exceptions, he added a directive that greatly undermined the bills intent. At that time Governor Brown chose to direct the California Department of Public Health to allow for a separate religious exemption on the form, which then provided a way for parents seeking exemptions to circumvent the new requirements. Now, if SB277 becomes law, parents will not longer have the option to file exemptions except for in the case of medical contraindications to vaccines. Supporters of this bill have worked tirelessly to counter the ridiculous amount of misinformation that has been proliferated by a highly motivated, but rather small, contingency of people who oppose the bill. Despite horrific threats and disgraceful public behavior by the opposition, who continue to try to discredit experts, vilify supporters and misrepresent the science behind vaccines, bill supporters are focused on sending an important message to state legislators. They want them to know that the majority of constituents not only expect immunity in the classroom, but many rely on it, and every child has a right to it. Supporters are doing everything they can to help legislators understand that high exemption rates increase the percentage of unvaccinated children in our schools, which then puts others at unnecessary risk. We need to make them understand that strong immunization policies are critical to ensuring the health of our children and our communities. Organizations like Vaccinate California and the California Immunization Coalition have been critical to organizing support for SB277 and getting these messages out. Although their efforts are supported by such organizations such as the California Medical Association, Health Officers Association of California and the American Academy of Pediatrics – California, they continue to request that California residents speak out in ways that will make a difference among legislators. So far, the authors of SB277, Senator Richard Pan and Senator Ben Allen, have done an outstanding job addressing questions and concerns posed by legislators throughout this process. In the Assembly Health Committee hearing, expert testimony in favor of the bill was heard from Dean Blumberg, MD, Pediatric Infectious Disease Specialist, UC Davis, Hannah Henry, mother and founding member of Vaccinate California, and Jodi Hicks, a representative of the AAFP, who read a heart wrenching statement from family physician Dr. Catherine Sonquist Forest, who is currently treating a hospice patient who is expected to die from complications from measles. However, more voices are needed and there is still plenty of work to be done. 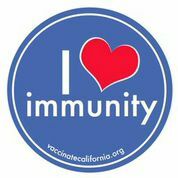 For details on exactly how you can take action to support SB277, visit the Vaccinate California website. Now is the time for parents to speak up on this issue. Today, we are at a critical point in which we’re seeing an encouraging number of bills that will work to tighten exemption policies. In 2011-2013 there were more attempts by state legislatures to broaden exemptions than to tighten them, yet only bills tightening exemptions passed. If the public wants to see more limitations put on vaccine exemptions, than they need to speak up. For details on exactly how you can take action to support SB277, visit the Vaccinate California website. No matter where you live you can connect with other pro-vaccine advocates in your state, connect with the Immunization Coalition in your area and find out what you can do to support all the new legislation that is being considered this year. For help getting connected to immunization advocates in your state, please email us at info@vaccinateyourfamily.org and sign up to receive Immunization Alerts on the bottom of our Vaccinate Your Family website. Direct links to state immunization websites (www.immunize.org/states). State mandates on immunization and vaccine-preventable diseases (www.immunize.org/laws). A comprehensive database of state level vaccine facts and policies (http://www.vaccinefactsandpolicy.org). Provides a listing of school vaccine requirements and exemptions by state (www.ncsl.org/research/health/school-immunization-exemption-state-laws.aspx).